How To Make More Music – Without Technical Hurdles or Frustration! If you’re new to Logic Pro or if you’re struggling with producing professional music and getting great sound out of Logic Pro, then you’re about to be extremely happy. Do you deal with weak sound and unprofessional mixes? Do you lie in bed at night struggling with how to get your music to sound as good as it does in your imagination? Are you just plain sick of editing audio and MIDI to the point your hands hurt or you lose all inspiration? This Is Your Chance To Discover Why Logic Pro X Is A Music Producer’s Dream Come True! 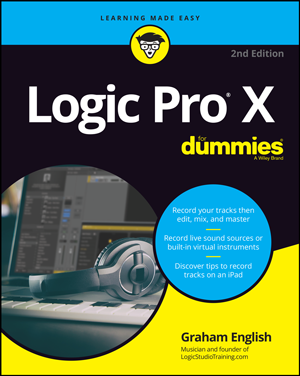 Let me explain… I’ve written Logic Pro X For Dummies… to make producing great sounding music easier and turn you into a Logic Pro expert. I know this might be hard for you to believe… but if you stick with me, I’ll guide you through the music production process so you can deliver stellar sound and become a productive DIY musician with your computer and Logic Pro X. This book is designed to get you making music fast. You don’t even need to know how to play an instrument. Logic Pro Fundamentals: Get Logic Pro up and running, learn the basics, and discover valuable tips for productivity. Recording: Understand the fundamentals of digital audio and MIDI, learn recording techniques, and use Apple Loops to build your music. Software Instruments: Make beats and design drum sounds, play virtual vintage instruments, find out how to program synths and samplers, and conduct a virtual orchestra. Arranging and Editing: Discover how to build an effective arrangement, learn how to edit audio and MIDI, and create the perfect performance. Mixing and Mastering: Discover the secrets to great sounding mixes, find out how to automate your mix for maximum impact, and boost the volume to competitive levels. It might sound like a fantasy… but you truly can create amazing music with Logic Pro. But sometimes you need to see someone do it first. I show you how to do things in the book on video… and it’s yours to watch online when you buy the book! So You Can Make More Music! When I wrote Logic Pro X For Dummies, I read and re-read Apple’s mission statement. Their goal is to deliver stellar products and experiences at an amazing value. I want to live up to their mission and add even more value to your Logic Pro X studio. So now let me ask you… do you have any objection to sounding better, working faster, and having more fun? Sound Better, Work Faster, Have More Fun! 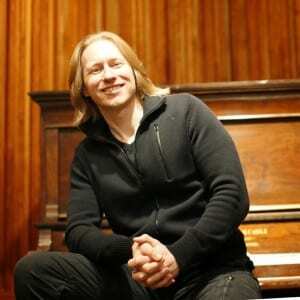 Graham English is the cofounder of logicstudiotraining.com, the leading premium tutorial website for learning Logic Pro. Graham is an experienced writer, instructor, and entertainer and has been a music and audio professional for more than twenty-five years. P.S. You’re still here?! You don’t have to go it alone! I’ll get you producing your signature sound as fast as I can!